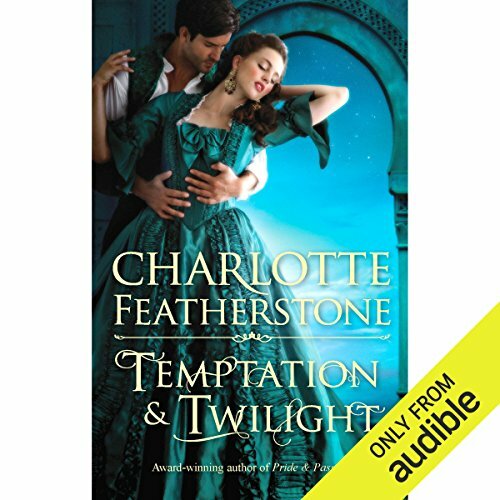 With the scandalous nature of her birth to live down, Isabella Fairmont dreams of a proper marriage—even if a passionless one. She saves her deepest desires for the novel she dares to pen, wherein a handsome lord with dark powers seduces her. But then her courtship with an appropriate suitor is threatened by the sudden attentions of the reclusive Earl of Black… whose pale blue eyes and brooding sensuality are exactly as she described in her book. Isabella tries to resist the mysterious Earl. Yet as he pursues her, with inexplicable knowledge of her past and kisses that consume her, Isabella fears she will succumb. Iain Sinclair, Marquis of Alynwick, is certain there is a special hell for him. An unrepentant rake, he holds nothing sacred - except for beautiful Elizabeth York. For years, Alynwick has tried to forget the woman he loved so well, and treated so badly. A woman who could hold nothing in her heart for him but hatred. All of society believes Elizabeth, the blind daughter of a duke, to be a proper young lady. But no one knows of her wanton affair with Alynwick.